Luckily, you don’t need internal or external tracking to complete your Pokédex (though it was certainly a nice feature). All you need is some Pokémon knowledge and the willingness to explore your city (and perhaps the world), and you’ll be able to catch ‘em all. Here are some tips on finding the Pokémon of your dreams—happy hunting! 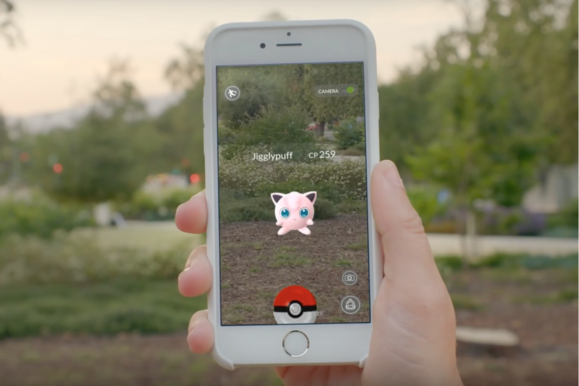 All 151 original Pokémon (150 plus Mew) will eventually appear in Pokémon Go. But as of now, six Pokémon—Ditto, Articuno, Zapdos, Motres, Mewtwo, and Mew—cannot be found in the wild. There’s no word on when these legendary Pokémon (and Ditto) will appear in the game, but we can speculate that Niantic has something appropriately epic in store: One of the first trailers for the game showed a multi-player battle against Mewtwo in Times Square. So that means you can catch 145 Pokémon, correct? Not so fast. Four Pokémon appear to be region-exclusive, which means you can only catch them in their regions: Tauros (North America), Mr. Mime (Europe), Farfetch’d (Asia), and Kangaskhan (Australia and New Zealand). While these Pokémon only appear in the wild in their respective regions, they can hatch from eggs in any region. If you read our beginner’s guide to Pokémon Go, you know that Pokémon like to hang out in populated areas like parks and shopping centers (they’re attracted to places with lots of cellular activity), as well as areas specific to their type (water Pokémon will appear near water, for instance). Head to your local mall or gas station, and you’re sure to be inundated with Pidgeys, Rattatas, and Zubats. Head to the beach, and you’ll be swimming in Magikarps, Goldeens, and Poliwags. But if you explore enough, you may stumble across a Pokémon “nest”—an area where a large amount of one specific Pokémon spawns consistently. Nests are perfect for completing your Pokédex or gathering up Pokémon candies for evolution or leveling up. There are a few crowd-sourced lists of confirmed Pokémon nests, but you’ll have the best luck finding nearby nests by Googling “[your city] + Pokémon nests” (and if you happen to find a local nest, you can mark it on the map). Niantic hasn’t confirmed the existence of nests, but they definitely exist—and they went through a pretty big rotation on July 29. This Reddit thread has a list of how the nests rotated, so you may want to check out your local nests for some new Pokémon. There are 18 different types of Pokémon in the Pokémon universe: Normal, bug, poison, flying, fire, water, ice, grass, electric, fighting, ground, rock, steel, ghost, psychic, fairy, dragon, and dark. Pokémon Go has 17 of these 18 types—at the moment, there are no dark-type Pokémon in the game. A Pokémon’s type determines its strengths (and weaknesses) against other types of Pokémon (e.g. 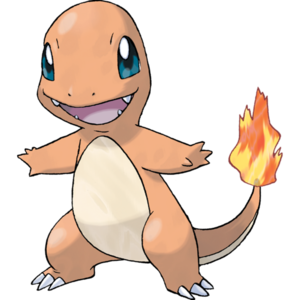 a fire-type Pokémon is strong against ice, but weak against water) and where it hangs out. Here’s a list of all the different types of Pokémon in Pokémon Go and where you should go if you want to run into them. 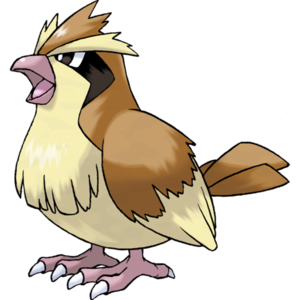 Pokémon: Pidgey, Pidgeotto, Pidgeot, Rattata, Raticate, Spearow, Fearow, Jigglypuff, Wigglytuff, Meowth, Persian, Farfetch’d, Doduo, Dodrio, Lickitung, Chansey, Kangaskhan, Tauros, Ditto, Eevee, Porygon, and Snorlax. Kangaskhan is exclusive to Australia and New Zealand, and Ditto has yet to show up in the game. Hangs out: Everywhere, including residential neighborhoods, universities, cities, and parking lots. Pokémon: Caterpie, Metapod, Butterfree, Weedle, Kakuna, Beedrill, Paras, Parasect, Venonat, Venomoth, Scyther, and Pinsir. Hangs out: In grassy areas such as parks, golf courses, hiking trails, and nature reserves. Can also be found on beaches. 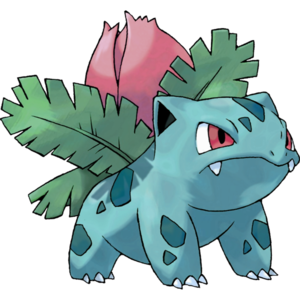 Pokémon: Bulbasaur, Ivysaur, Venusaur, Oddish, Gloom, Vileplume, Weedle, Kakuna, Beedrill, Venonat, Venomoth, Bellsprout, Weepinbell, Victreebell, Ekans, Arbok, Nidoran (female), Nidoran (male), Nidorina, Nidoqueen, Nidorino, Nidoking, Zubat, Golbat, Grimer, Muk, Koffing, Weezing, Tentacool, Tentacruel, Gastly, Haunter, and Gengar. Hangs out: Industrial areas such as industrial parks and cities. Also likes marshes, swamps, and wetlands. 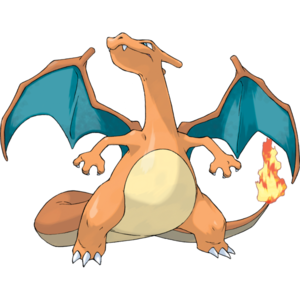 Pokémon: Charizard, Pidgey, Pidgeotto, Pidgeot, Spearow, Fearow, Farfetch’d, Doduo, Dodrio, Butterfree, Zubat, Golbat, Scyther, Aerodactyl, Gyarados, Dragonite, Articuno, Zapdos, and Moltres. Farfetch’d is exclusive to Asia, and Articuno, Zapdos, and Moltres are legendary birds that have not yet appeared in the game. 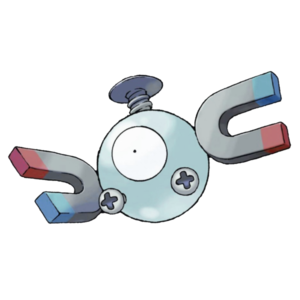 Hangs out: Flying is a sub-type of Pokémon; all of the flying-type Pokémon have other types (such as fire, normal, and rock) that determine where they hang out. 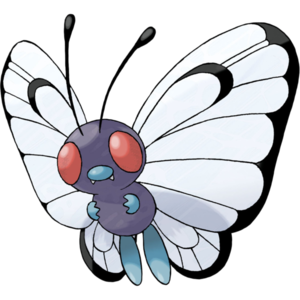 But because many flying-type Pokémon are also normal-type Pokémon, you’ll find them just about everywhere, including parks, forests, farmland, and in cities and residential areas. Pokémon: Charmander, Charmeleon, Charizard, Vulpix, Ninetales, Growlithe, Arcanine, Ponyta, Rapidash, Magmar, Flareon, and Moltres. Moltres is a legendary Pokémon and cannot currently be caught in the wild. Hangs out: In residential neighborhoods, near gas stations, and in cities. 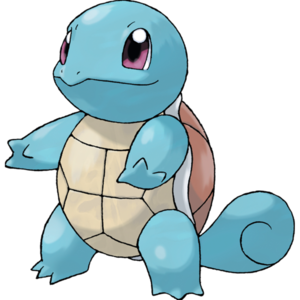 Pokémon: Squirtle, Wartortle, Blastoise, Psyduck, Golduck, Poliwag, Poliwhirl, Poliwrath, Tentacool, Tentacruel, Slowpoke, Slowbro, Seel, Dewgong, Shellder, Cloyster, Krabby, Kingler, Horsea, Seadra, Omanyte, Omastar, Kabuto, Kabutops, Goldeen, Seaking, Staryu, Starmie, Magikarp, Gyrados, Lapras, and Vaporeon. Hangs out: Near natural bodies of water, such as streams, rivers, ponds, lakes, and the ocean. Can also be found near man-made water features, including canals, reservoirs, and fountains. Pokémon: Jynx, Dewgong, Cloyster, Lapras, and Articuno. Articuno is a legendary Pokémon and cannot currently be caught in the wild. Hangs out: Near snow—ski resorts, mountains, and glaciers. Can also be found near bodies of water and on the beach. 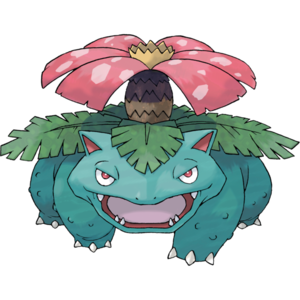 Pokémon: Bulbasaur, Ivysaur, Venusaur, Oddish, Gloom, Vileplume, Bellsprout, Weepinbell, Victreebell, Exeggcute, Exeggutor, Tangela, Paras, Parasect. Hangs out: Grassy areas such as parks, golf courses, and botanical gardens. Also likes forests, hiking trails, and nature reserves. Occasionally found near beaches and shorelines. 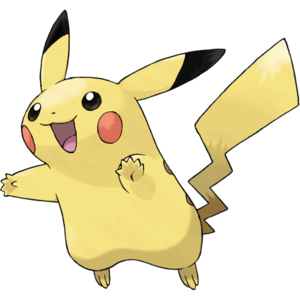 Pokémon: Pikachu, Raichu, Magnemite, Magneton, Voltorb, Electrode, Electabuzz, Jolteon, and Zapdos. Zapdos is a legendary Pokémon and cannot currently be caught in the wild. Hangs out: Seems to like places of enlightenment: Schools, university campuses, and public libraries. Can also be found in industrial parks, train stations, and in shopping malls/centers. 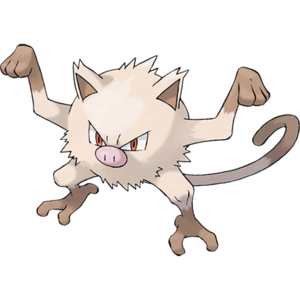 Pokémon: Mankey, Primeape, Machop, Machoke, Machamp, Hitmonlee, Hitmonchan, and Poliwrath. Hangs out: Real-life gyms, stadiums, sports centers, and skate parks, as well as public parks and beaches. 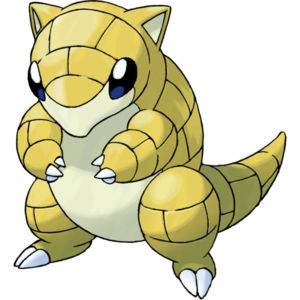 Pokémon: Sandshrew, Sandslash, Diglett, Dugtrio, Geodude, Graveler, Golem, Onyx, Cubone, Marowak, Rhyhorn, Rhydon, Nidoqueen, and Nidoking. Hangs out: Likes open fields with lots of ground: Farmland, parks, and golf courses. Also found near stone quarries. 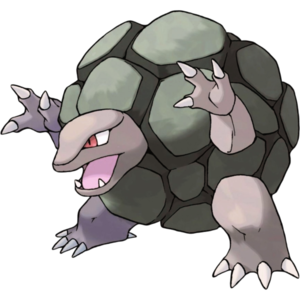 Pokémon: Geodude, Graveler, Golem, Onix, Rhyhorn, Rhydon, Omanyte, Omastar, Kabuto, Kabutops, and Aerodactyl. Hangs out: Loves rock quarries (duh) and parking lots/structures. Also found frequently in cities, as well as open fields like parks and golf courses. Hangs out: Where steel and metal is abundant: Industrial areas such as industrial parks and cities, inside large buildings (like shopping malls), and in train stations and near train tracks. 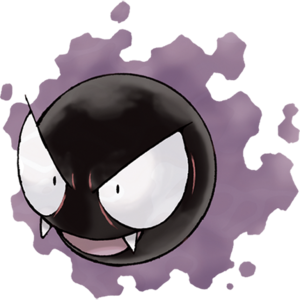 Pokémon: Gastly, Haunter, and Gengar. Preferred climate/region: No preference, but appears more frequently at dusk/night. 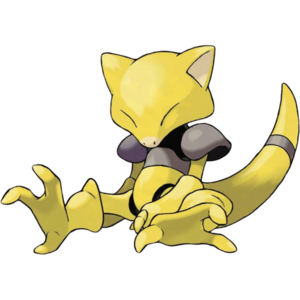 Pokémon: Abra, Kadabra, Alakazam, Drowzee, Hypno, Exeggcute, Exeggutor, Slowpoke, Slowbrow, Jynx, Mr. Mime, Mewtwo, and Mew. Mr. 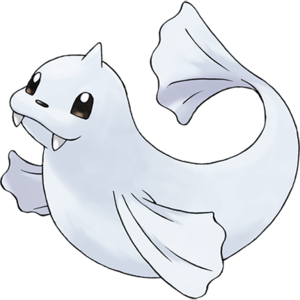 Mime is exclusive to Europe and Mewtwo and Mew are legendary Pokémon and cannot currently be caught in the wild. Hangs out: Psychic Pokémon are often found in parks/grassy areas and residential neighborhoods at night time. They also like to hang out in hospitals. 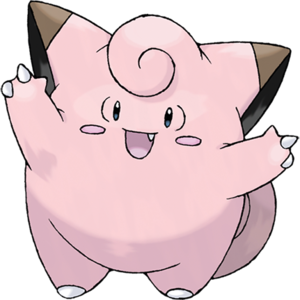 Pokémon: Clefairy, Clefable, Jigglypuff, Wigglytuff, and Mr. Mime. Mr. Mime is exclusive to Europe. Hangs out: Landmarks and places of interest (such as monuments), as well as churches and cemeteries. 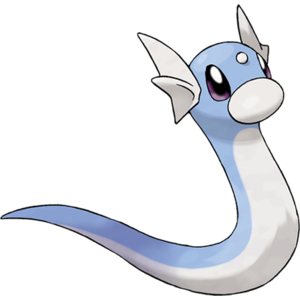 Pokémon: Dratini, Dragonair, and Dragonite. Hangs out: Near famous landmarks, on golf courses, and on beaches.